A woman begins seeing mysterious ghostly figures following her after a car crash in this creepy cult classic from 1962 which anticipates the films of George Romero and David Lynch. After specializing in industrial films, director Herk Harvey (who plays one of the ghouls) poured his heart and soul into what would be his only narrative feature. 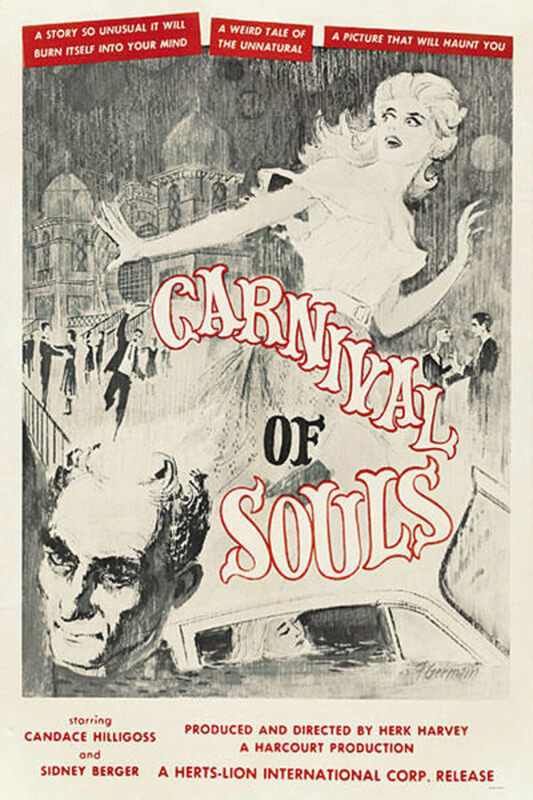 But after an initial box office failure, CARNIVAL became a cult classic to future generations, who connected with the film's atmospheric TWILIGHT ZONE-meets-Ingmar Bergman style. A must-see film for any horror fan. A woman begins seeing mysterious ghostly figures following her after a car crash. So beautiful....it's perfect. There was nothing about it that I didn't like. Very charming due to its overall ethereal feeling and unconventional flow, it's clear that the director put atmosphere ahead everything else and strived to recreate his vision in its purest form; would definitely recommend it to pretty much any horror fan. It's also obvious why this is important for the genre and would be dubbed as "proto-Lynchian" but, having grown up watching Lynch's films (including his early shorts), I just couldn't "feel" this one that much as it felt outdated...oh well, if movies like this are the reason why we got the Lynch we know I'm not gonna complain! Nothing bad to say about this proto-Lynchian film, the score and look make it an essential watch for anyone who loves surreal horror. Such a classic creepy film. Very arthouse in spirit (no pun intended). The Criterion print is amazing. So crisp.